Melbourne is known for museums, shopping, parks, nightlife, and zoos & aquariums. 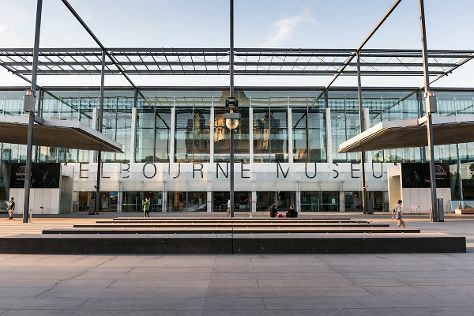 Your plan includes some of its best attractions: make a trip to Royal Botanic Gardens, learn about all things military at Shrine of Remembrance, examine the collection at Melbourne Museum, and admire the masterpieces at National Gallery of Victoria. To see ratings, reviews, photos, and more tourist information, use the Melbourne road trip website . Mumbai, India to Melbourne is an approximately 17-hour flight. You'll lose 4 hours traveling from Mumbai to Melbourne due to the time zone difference. Prepare for colder weather when traveling from Mumbai in June: high temperatures in Melbourne hover around 16°C and lows are around 6°C. Wrap up your sightseeing on the 3rd (Mon) early enough to travel to Sydney. Sydney is known for nightlife, trails, beaches, parks, and museums. 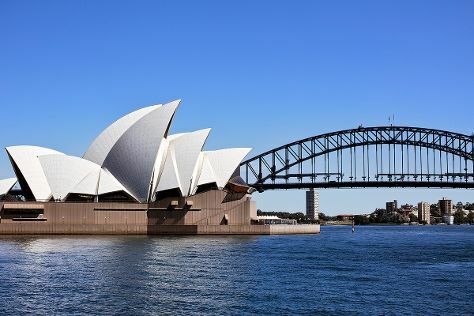 Your plan includes some of its best attractions: catch a live performance at Sydney Opera House, take a stroll through The Rocks, don't miss a visit to Sydney Harbour Bridge, and admire the natural beauty at Royal Botanic Garden Sydney. To see where to stay, traveler tips, maps, and other tourist information, read Sydney driving holiday site . Traveling by flight from Melbourne to Sydney takes 3.5 hours. Alternatively, you can do a combination of shuttle and flight; or drive. Plan for somewhat warmer temperatures traveling from Melbourne in June, with highs in Sydney at 21°C and lows at 11°C. Finish up your sightseeing early on the 7th (Fri) so you can travel to Gold Coast. Kick off your visit on the 8th (Sat): laugh and play at Sea World Theme Park. 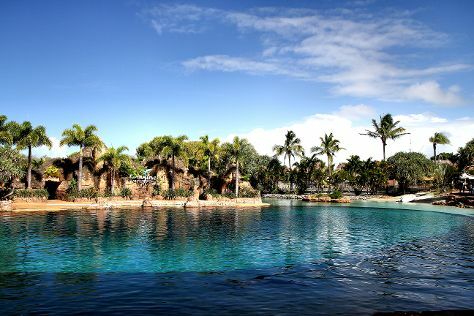 Here are some ideas for day two: get in on the family fun at Warner Bros. Movie World, then kick back and relax at Surfers Paradise Beach, and then find something for the whole family at Infinity Attraction. To see ratings, where to stay, maps, and tourist information, use the Gold Coast trip itinerary builder tool . Traveling by flight from Sydney to Gold Coast takes 3.5 hours. Alternatively, you can do a combination of flight and train; or drive. In June in Gold Coast, expect temperatures between 24°C during the day and 13°C at night. Wrap up your sightseeing on the 9th (Sun) to allow time to travel to Cairns. Kick off your visit on the 10th (Mon): identify plant and animal life at Wildlife Areas. For ratings, more things to do, reviews, and other tourist information, read Cairns trip planner . Traveling by flight from Gold Coast to Cairns takes 5.5 hours. Alternatively, you can do a combination of train and flight; or drive. Plan for a bit warmer temperatures traveling from Gold Coast in June, with highs in Cairns at 30°C and lows at 22°C. On the 11th (Tue), wrap the sightseeing up by early afternoon so you can travel back home.